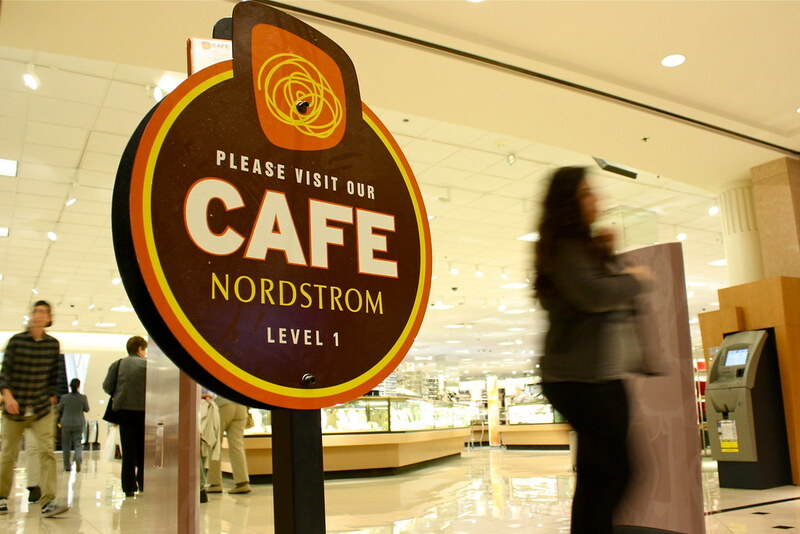 Customers pass a Cafe Nordstrom sign as they exit the store on Friday May 3, 2013. A food handler of the cafe has recently been diagnosed with typhoid fever. Photo by Gabriella Gamboa / Xpress. Students who have dined at the Nordstrom Cafe located in the Stonestown Galleria may have been exposed to typhoid fever after a food handler was diagnosed with the bacteria earlier today, according to the San Francisco Department of Public Health. Those who ate at the location on April 16, 17, 18, 20 or 27 may have been exposed to the illness and are urged to seek medical treatment if they have any symptoms. According to an ABC7 report, Nordstrom said the company is looking through credit card records to find customers and offer them free testing at a select local clinics.